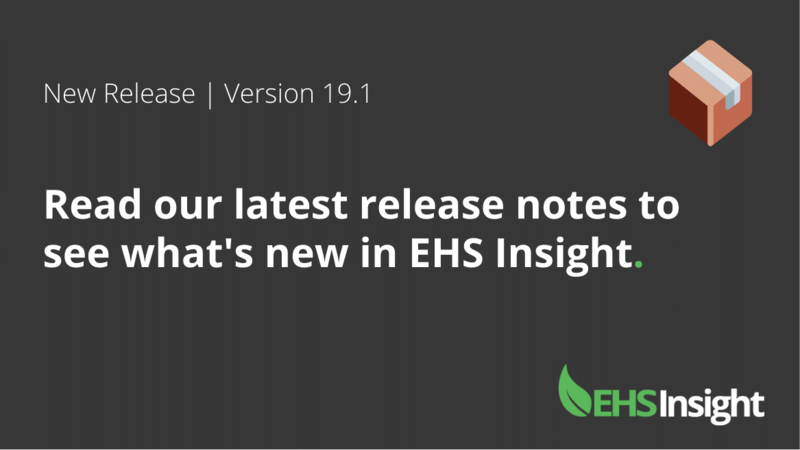 We're pleased to present EHS Insight 19.5. 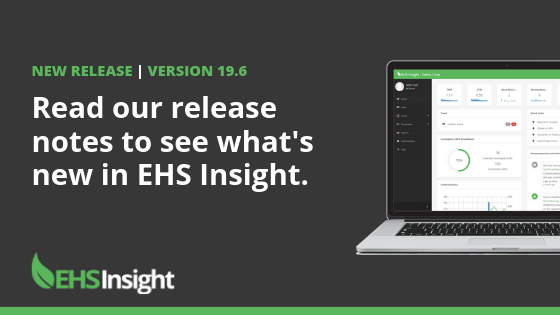 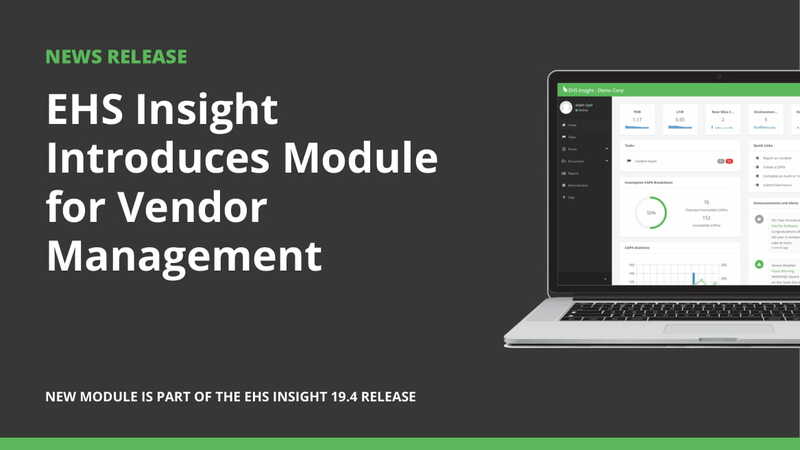 We're pleased to present EHS Insight 19.4. 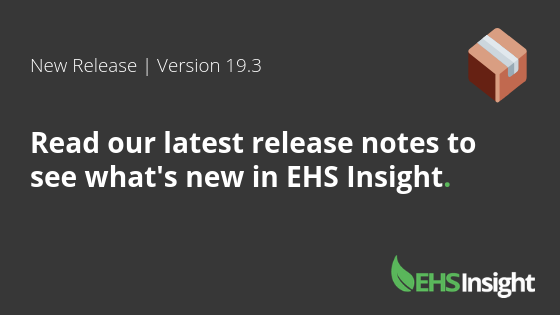 We're pleased to present EHS Insight 19.3.